Dr. Ronald J Small always appreciates feedback from his valued patients. To date, we’re thrilled to have collected 53 reviews with an average rating of 4.91 out of 5 stars. 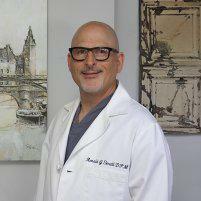 Please read what others are saying about Dr. Ronald Small below, and as always, we would love to collect your feedback. My big toe had an in-grown toenail. Dr. Small very painlessly and carefully operated on it in his office. I went back for two follow-up visits, during which Dr. Small reported that I was healing nicely. Dr. Small did an excellent job removing a bone spur. I had moderate pain and a lot of mobility after the procedure. Dr. Small explained options thoroughly and was available for questions and follow up. I highly recommend him and his pleasant and responsive staff. Dr Small is not only an excellent podiatrist, he is a lovely human being. Everything he does is evidence of how much he cares for his patients. Highly, highly recommended! Dr. Small & his staff go out of their way to give friendly, caring EXCELLENT care!! He's a caring doc who listens. Dr. Small was able to diagnose my problem and solve it immediately. Although I had other issues he said none of them needed to be addressed at this time which I appreciated. He and his staff were very friendly. Professionally and medically a very good experience.